I will never forget the first time I tasted San Pellegrino. The hiss of the bottle as I untwisted the cap and the bubbles crashed to the surface. That glorious fizz tickling my throat as I tasted luxury. I was never one for sparkling water but as soon as the bottle touched my lips I was converted – not to sparkling water in general, but to San Pellegrino in particular. The change was less to do with the drink itself and more due to its positive connotations. Let me clarify. My first taste of the Italian nectar was in a car on a hot summer’s day, travelling to Athlone with a gentleman I had only met an hour previously. I was never in safer hands than in that moment. Having recently joined a tennis club, I was invited on a group trip wake-boarding in the midlands. My lift down was with an honourable gentleman who was part of the crew. It was this driver who first offered me the San Pellegrino. I was amused to find crateful’s of the beverage in the boot of his car – here was a man who enjoyed the finer things in life. I was struck by this stranger’s warmth. I had barely belted myself into the car when my companion began chatting to me; not just the usual banal things you gloss over when you first meet someone like background, family, work, etc, but real life and what’s happening in it – much like you would with a friend. As the conversation flowed, it began to dawn on me what calibre of man the driver was. He was not only an interesting character but he was also genuinely interested in what I had to say. I spoke about my choir, my background in radio, and my love of travel. He took up this last point, travel being a shared interest. My imagination was captured by stories of his adventures in Egypt – the colour, the decadent hotels and the glorious heat; he was a gifted storyteller. I initially found it hard to place this gentleman. He was tall and tanned, with strong facial features and silky brown hair. He looked too handsome and healthy to be Irish. I had him pegged in his late 30s and later discovered he was already pushing 50! His accent was what threw me. English was most definitely his first language but I knew he wasn’t from Australia or New Zealand. I thought him to be American – it would have fitted with the tan, the sickening good looks and the warm expression of his countenance. He was in fact a Dub, born and bred; the tan was acquired from months of globe-trotting and the accent just another interesting facet of his character. All the while, as we journeyed and talked, we drank San Pellegrino. He asked me if I liked it and I replied in the affirmative. He delighted in his latest convert, remarking that he enjoyed the good things in life. San Pellegrino was not just sparkling water; it was representative of affordable luxury, something which my companion clearly enjoyed. For me, San Pellegrino reminds me of the warmest human being I have had the pleasure of knowing. His generosity of spirit and infectious smile and laughter remain ingrained on my mind. He was a true gentleman who made me feel welcome from our first meeting, something which I will never forget. 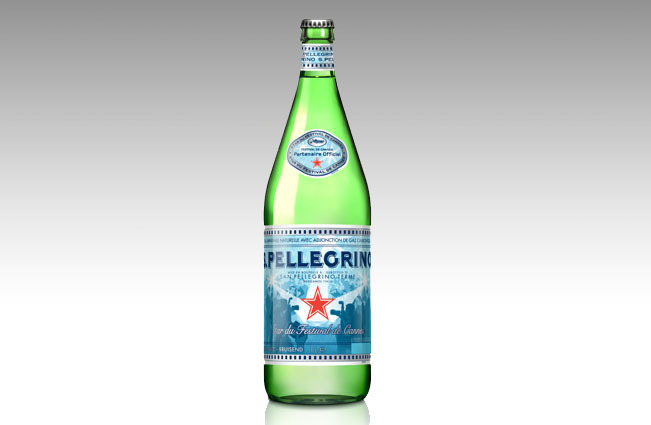 San Pellegrino is special because every time the bubbles fizz down my throat, I am remembering a good friend.